The RV and Marine industry is known for manufacturing products that are built to withstand some of the toughest conditions the Australian climate can throw at them. Salt air and water can destroy poorly made products, the hot Australian sun can accelerate fading and built up dirt can lead to worn out parts. Despite the challenges, most businesses in the industry manage to deal with them effectively and produce high quality vehicles and products that are built to last. After spending years and money on developing these products, it would be safe to assume you want the world to know who made it right? 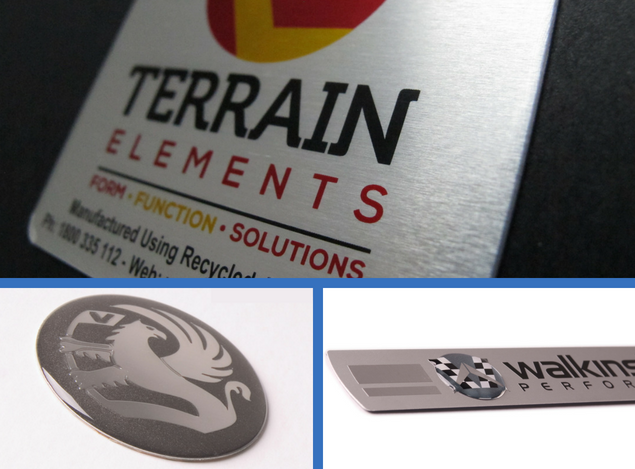 Unfortunately, Labels, Nameplates and Badges are often overlooked when finishing off a product. 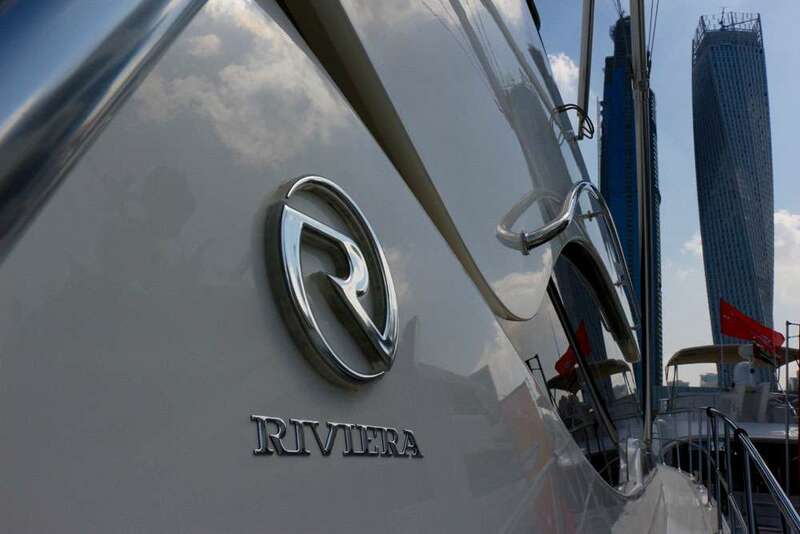 It is important that the RV and Marine industry use nameplates, labels and badges that are built to withstand the same punishment that their products are. See our “the importance of brand identity in product branding” blog to see why this is so important. This is not just a branding issue, but as these nameplates labels and badges can also be used to provide important information such as safety instructions, they need to be built to last. “Caution Hot”, “Unleaded Fuel Only” or even “Do Not Step” labels are all important and can lead to either your customers injuring themselves or damaging your product if they are not present. One thing is for certain though, your customers will not be happy in either of those scenarios. This is why it is vital that the nameplates, labels and badges on your products last as long as your product itself would. LNI have spent years developing solutions that can be optimised to withstand any of the conditions faced in the RV and Marine Industry. In fact, LNI’s nameplates have one of the thickest anodic top layers (a protection layer) in the industry. A range of adhesion methods can also be used to ensure that your solution stays in place. This is just a couple of ways that LNI can help you to ensure your product both looks great and helps to keep your customers safe for years to come. 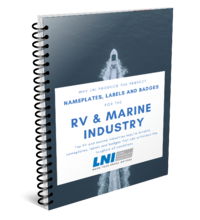 For more information on why LNI are the best option for nameplates, badges and labels in the RV and Marine Industry, download our latest eBook here. An LNI expert can work with you to ensure that you receive the ideal nameplate, label or badging solution. If you have any questions, feel free to contact us. LNI also offer free samples and can provide you with a quote if you know exactly what you are after.